What Does Speed Screed Do? This is the most widely used screed in the UK and has been used for centuries. We can provide a wide range of calium sulphate and cementisious flowing products. We offer solutions that will allow you to lay floor coverings after hours rather than days. These are primarily used to level a substrate so it’s necessary to bond them directly to the substrate. Why not choose your under-floor heating system from Speed Screed? We can provide cost effective solutions to your insulation needs. Do you need noise control within your project? Let us help. 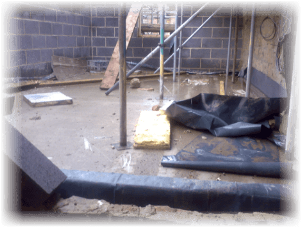 To prevent unwanted damp and moisture use one of our membranes. At the enquiry stage, technically trained staff ensure that your requirements are matched perfectly with the most appropriate solution. ‘Value Engineering’ is something that we live and breathe every day so we will help you find the best option for your project. Once the screed system you require is identified and agreed upon, your project is then handed over to our Site Team of trained and experienced installers. Highly skilled installers ensure that the practical application matches your identified specification. Ensuring the screed delivers performance and durability whilst meeting or exceeding the British Standard. We adhere to health and safety policy on site to ensure we maintain the high standards you would expect, whilst operating under our strict Environmental Management System. Yes, please use my details to send me Speed Screed information relevant to me as a screed consumer.